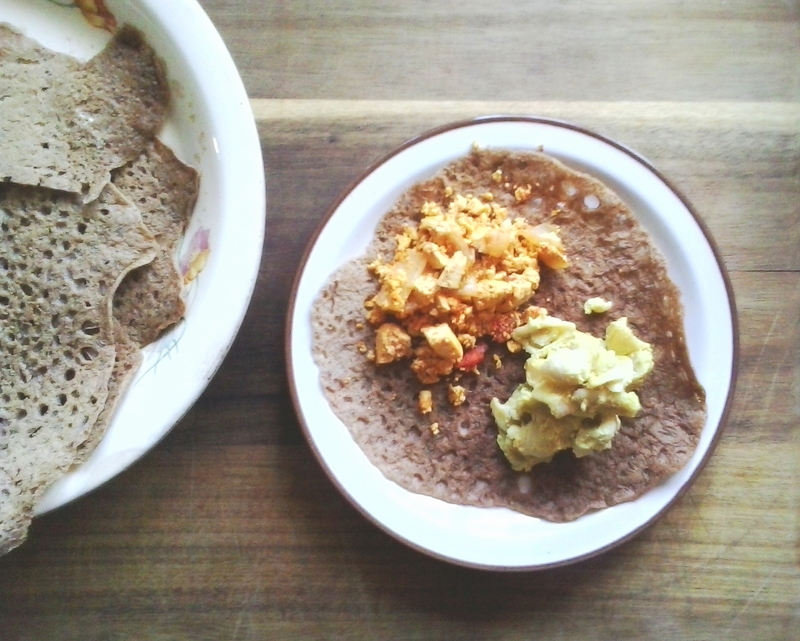 This entry was posted in gluten free, wheat free and tagged Ethiopian, injera, Kittee Berns, teff crepes, Teff Love, vegan. Bookmark the permalink. 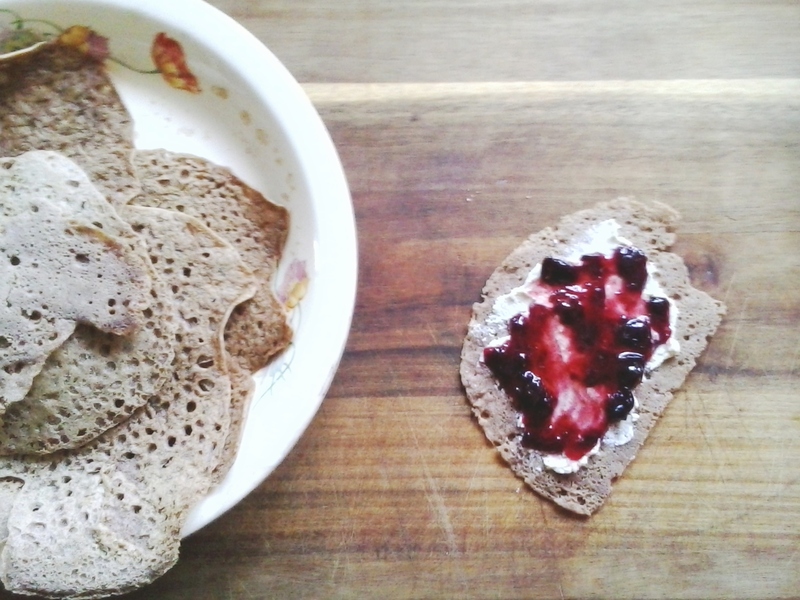 You make these crepes better than me! Thanks for hosting Teff Love today! That’s pretty impressive that your current batch of ersho is the descendant of the very first one you’ve ever made! 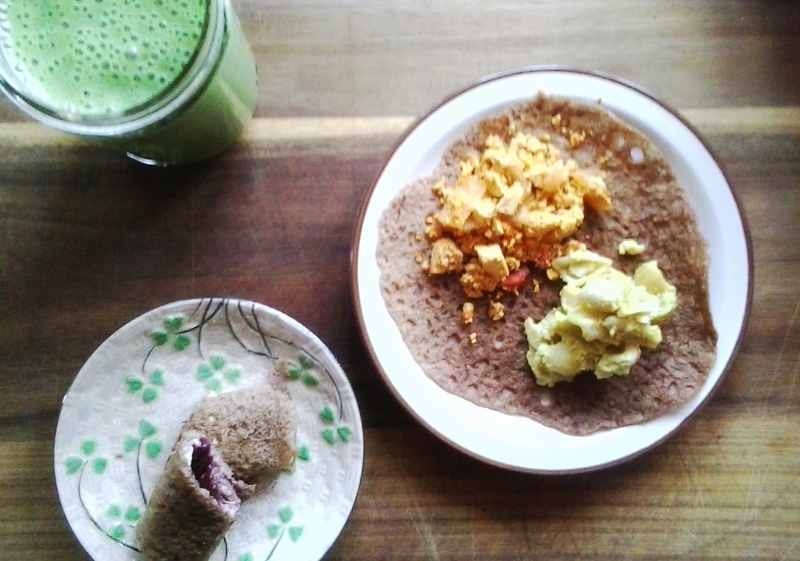 I made my ersho about a month ago and have been running low after making 3 batches of injera and 2 batches of pancakes. Now that you’ve mentioned the longevity of yours, I’ll just keep feeding mine and try to see how long it lasts! You are a finer specimen than I! 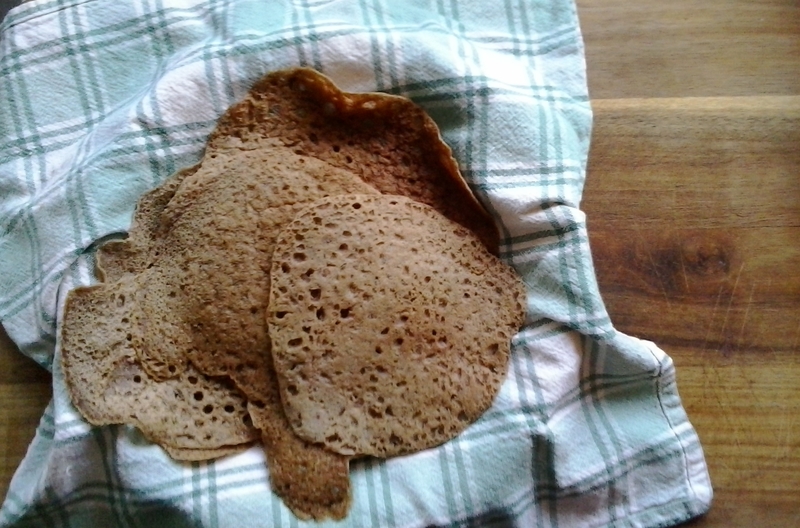 I made injera twice, the pancakes 3 times, but I’m sticking with the quick teff crepes from now on. The proportion of effort to yum is too good to pass up!